I had made the following video while booting up my Pioneer AppRadio 2 for the first time after install. Check it out. 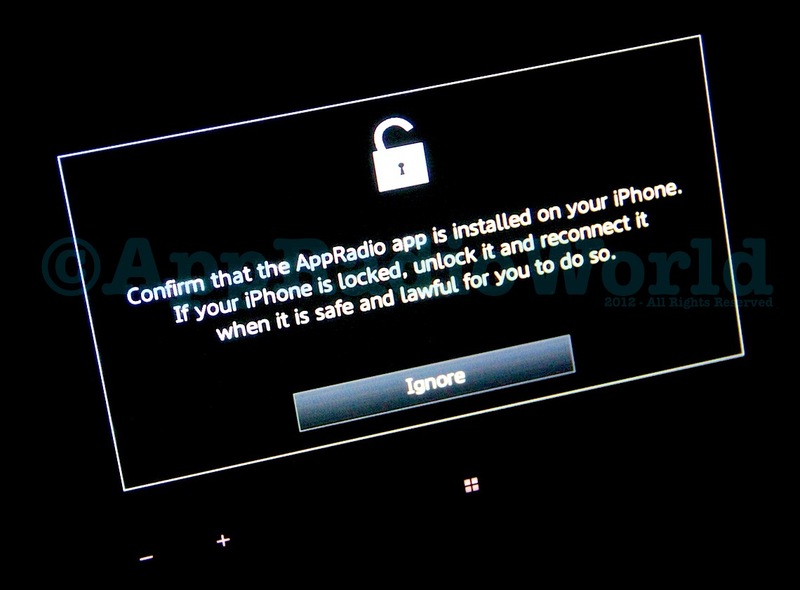 The interface is definitely snappier than the first generation AppRadio but similar warning screens plague both Pioneer devices. More AppRadio 2 videos to come. nice. Is there any way to avoid pressing additional buttons on iphone dirung the initial boot. Just plug the cord in and forget about it. Cause I find it kinda disturbing to press the same button everytime. Is there a way to avoid the iphone message every time I connect the cable? Thanks for the Video! Looks soooooo smooth! Decided to take the plunge after seeing this video! Not only that, but I live in the UK, and Halfords (who had it up for £700) was doing 50% off all Pioneer Headunits! So I just bought one for £349!?!?!? That works out to just over $550 which I am MUCH MUCH happier about! I just bought one from Halfords here in the UK too, ended up paying £249 for the unit! I thought it was a bargain, especially when compared to the older looking dot matrix displays of most of the other head units. I had the system installed a few days ago and there are some issues I'd like to bring to light. Please let me know if any of you are experiencing these issues and perhaps we can find some work-arounds together. 1) After you plug in the Iphone (mine's a 4s) and press play on Pandora the system asks you to boot Pandora up from your Iphone. So you essentially have to pull out your Iphone and start Pandora through the phone. 2) When you're listening to music or Pandora and you suddenly need to use Navigation you are asked to hit the Apps icon and launch from the Iphone. I thought the whole point of this Apps radio was to plug it in and forget it. I believe that you have to hit the Apps button (on your Iphone) each time you exit it and want to come back to it. 4) When watching video I am unable to find it through Ipod Video button all though there clearly is a video button under Ipod. What you have to do is first go to your Iphone, pick your video, play it then hit the Apps button on the App radio. Once video playback is complete you would have to go back to your Iphone and select another video to watch. Unbelievable!!!! Question; Pionmeer support for the SPH-DA100 is non-existent. I instyalled the unit in my wife's car, all goo. Initially set up my iphone to test apps and my contacts were brought in. It is not obvious how to remove my contact list and replace with another iphone's list? (and can there be multiple contact groups?) Any directiuon would be helpful. When you setup your wife's iPhone it should replace your contacts with hers. Or you can try deleting your phone first. Or if everything fails, try resetting AppRadio 2 to factory defaults through the settings menu and setting it up with ur wife's iPhone. Anyone know why I can not get the parking brake message to go away and my app mode load? The "ok" button will not light up for my app radio 2. Apparently my installer earthed the Brake line and the Parking Brake Message OK button is then enabled. I'm having exactly the same issue. Can you confirm that your appradio is working?